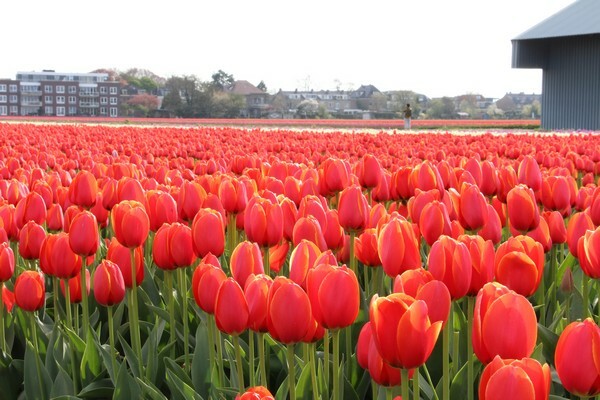 A guide about tulip season in Holland in 2019: how to see it for free! It’s that time of the year! * Tulips are growing, and the landscape will soon transform into a colourful patchwork: tulip season in Holland is on its way! Commuting between Leiden and Amsterdam, I can tell you that I am looking forward to that magnificent scenery, and I know I’ll spend less time looking at my phone when I am on the train. 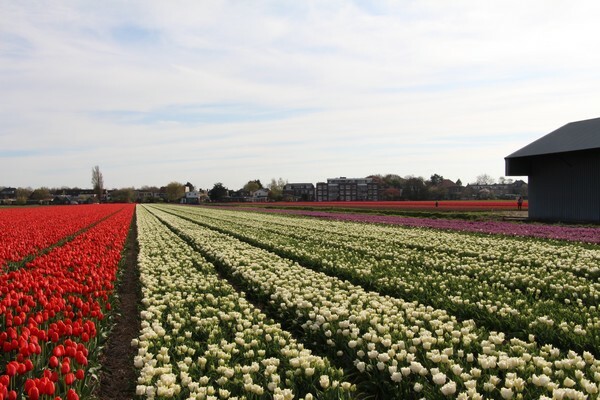 When thinking of tulips in the Netherlands, you think of the Keukenhof, but there are other ways to enjoy the blooming flowers, with fewer tourists, and above all, it’s cheaper! Follow our guide to the tulips season in Holland. Here we’ll speak about the Keukenhof, the tulip fields (the free bit! ), where to go, when to go and what events you can’t miss! 1. Tulip season in the Netherlands: Where to go? The best place to enjoy the tulips in the Netherlands is in the Bollenstreek, the Bulb Region – it says it all! 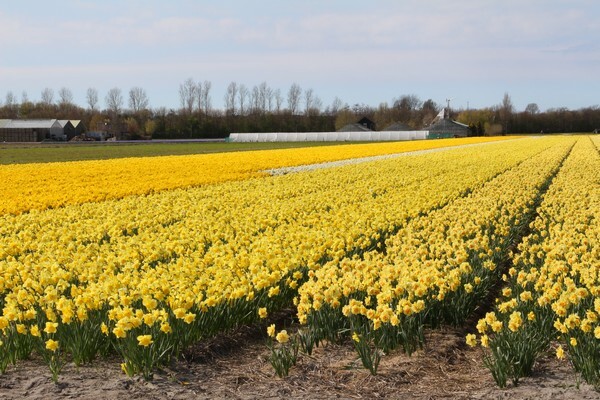 The Bollenstreek is the area between Leiden, The Hague and Haarlem, with the cities of Lisse, Hillegom, Katwijk, Noordwijk, Noordwijkerhout and Teylingen, where the floral industry is at its peak. There you find the Keukenhof, and I’ve you’ve never been, I’d recommend going at least once in your life. With more than 7 million bulbs the park is really a tulip wonderland! However, for quieter areas, head to the countryside between Hillegom and Warmond. 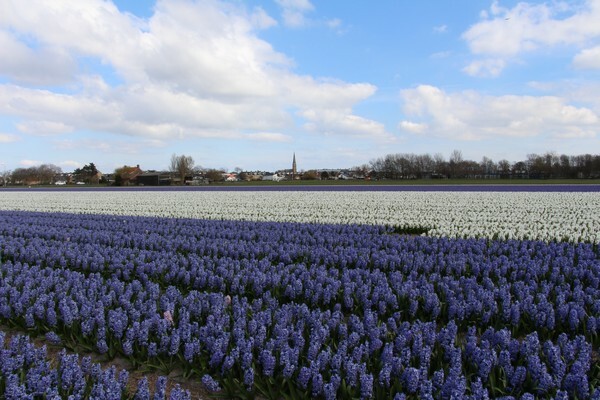 That’s where you’ll find amazing flower fields, from blue to white, and from purple to orange. True rainbow-carpeted flower fields are awaiting! 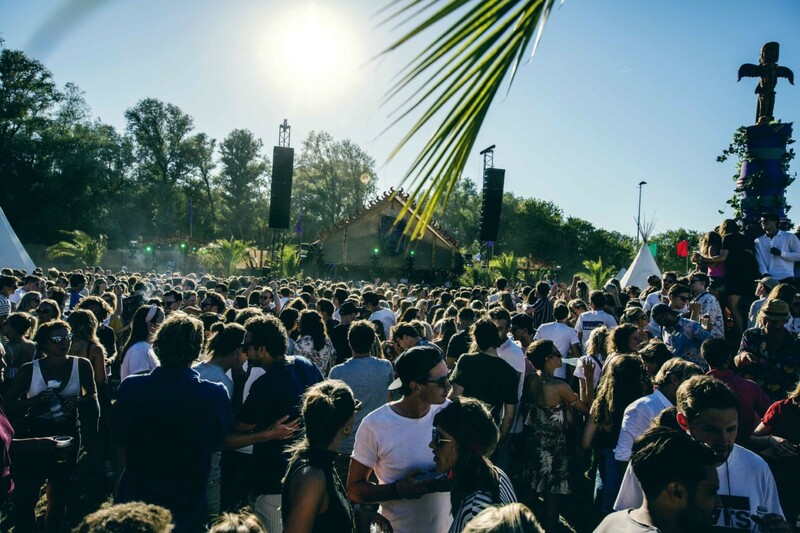 In short: If you don’t mind paying, head to the Keukenhof, if you’re strapped for cash then head to the fields around the Keukenhof. Both of these options guarantee that you’ll see plenty of those beautiful tulips! 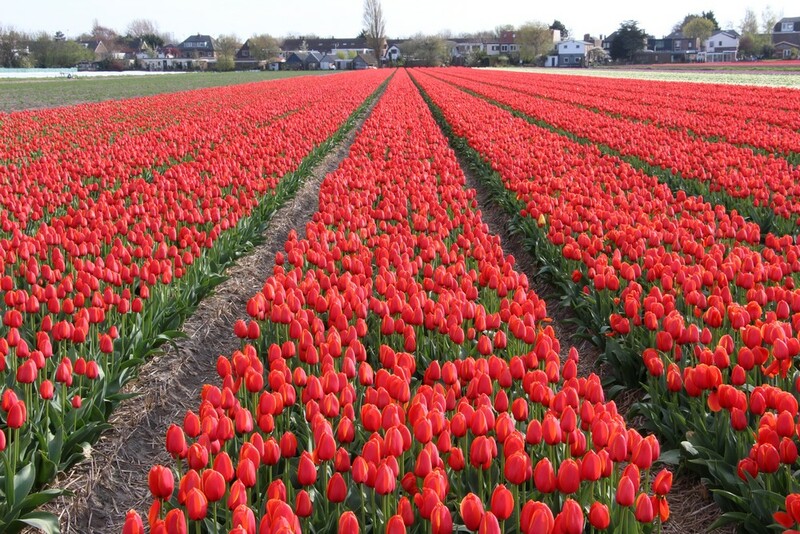 2.Tulip season in the Netherlands: When to go? 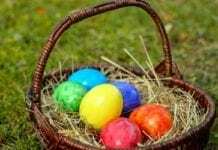 The season begins with the crocuses in March, followed by hyacinths, narcissus/daffodils and tulips at the end of the month. The tulips season extends until the end of May when the Keukenhof closes. Mid-April is probably the best time to go as most of the flowers will be in full blossom! For detailed flower updates, look here. It’s worth noting that every year the season changes slightly. Finding the prime point to go is really difficult (so get checking with those flower updates). Climate change is definitely making itself known, so it all depends on what kind of weather Holland has just before tulip season and during it. 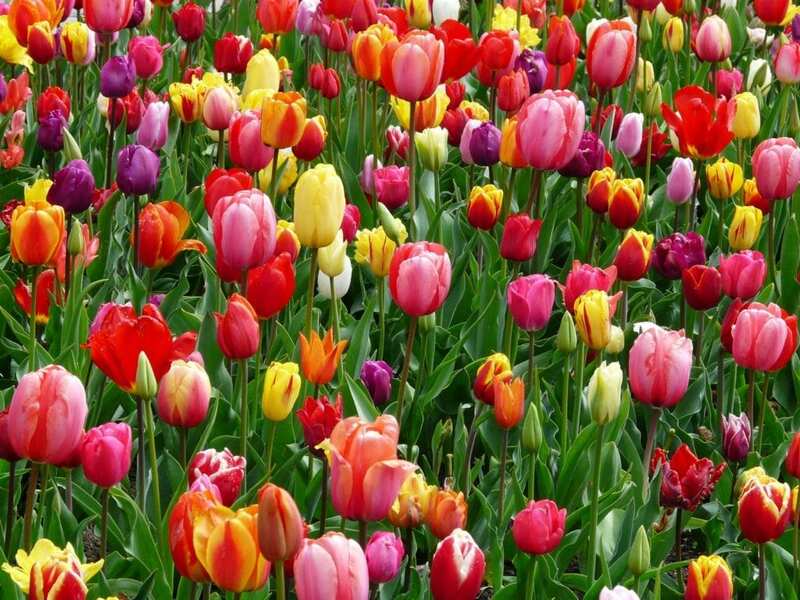 3.Tulips season in the Netherlands: How to go? From Leiden, I would recommend going for a day of cycling in the flower fields. We’re in the Netherlands after all, and the best way to explore the area remains the bicycle. Take the direction of Noordwijkerhout, and come back via Sassenheim and Teylingen. You’ll be able to go through amazing fields, with windmills, for complete scenery! Need a bike? Rent one from the people at BimBimbikes. Easy portal and good service, it’s not hard to see why we would recommend this for the international folk. If cycling isn’t your thing, then taking a nice walk wouldn’t go amiss. Hop on the train to Hillegom for an easy walk around the station. You won’t have to go far to find the fields, as they are easily accessible. The fields and the tulips are absolutely amazing! 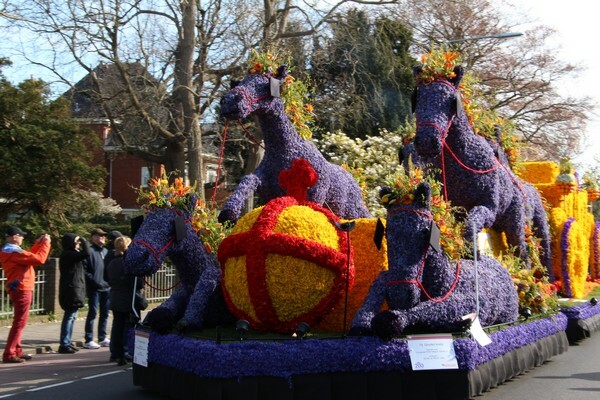 A magical event is the Bloemencorso, or the Bulbflower Parade, that takes place every year. This year it’ll go from Noordwijk to Haarlem on Saturday 13th April 2019. 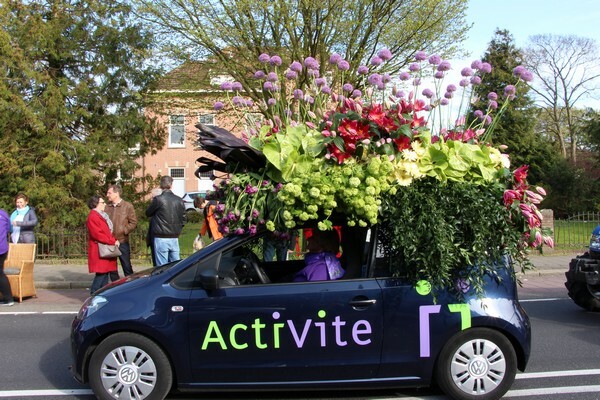 Get yourself a free spot on the route of the parade and admire the beautifully decorated floats – this year’s theme is ‘Flowers & Fashion’. 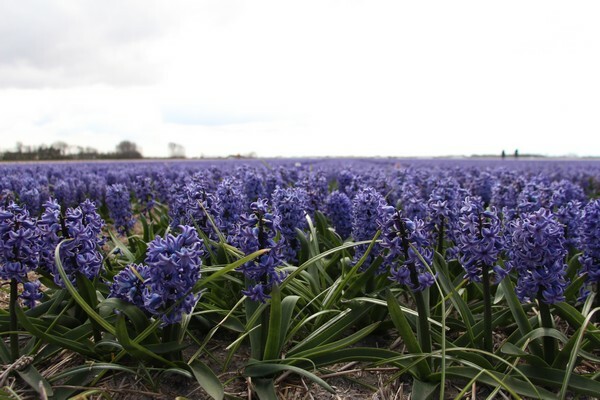 Hyacinths, tulips and daffodils will be at their best! Another floral experience is the flower market in Aalsmeer; the international trading platform for plants and flowers in Aalsmeer is the largest in the world. But you’d better have to wake up early to see it. The auction is open to the public only from 7am until 9 or 11am during the week. The perfect way to look at the behind-the-scenes and witness the hustle and bustle of the market, where each day 19 million flowers and 2 million plants are sold. If you are looking for something a bit different, you can choose to have lunch right next to the beautiful flowering tulip fields! Liked the idea? 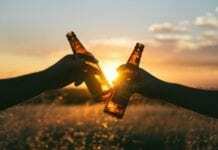 During the Bloemendagen on April 27th – May 1st 2019, you can not only explore the town of Anna Paulowna, but also turn this trip into a unique experience. Moreover, you can learn about the flower bulb trade and take a small tour of the barns around. So it’s not only good for enjoying the colourful charm of the tulip field but good for some guarantied good times as well. That’s it! Get ready to get into the full spring spirit and tell us! Do you have any tips for the tulip season in Holland? Want to keep seeing these updates? 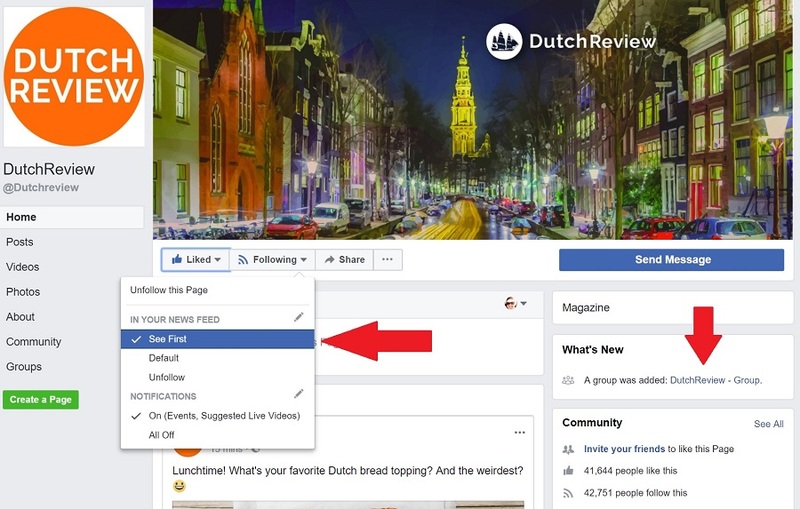 Facebook is changing their newsfeed, so if you still want to see DutchReview in the future (and we want to keep seeing you!) be sure to select DutchReview as ‘see first’ in your newsfeed and to join our brand new and shiny Facebook group! when is the best time to come visiting holland and buy some fall season bulbs?? Thank you very much for your useful information. I plan to go to Netherlands next year around the end of May. So, I would miss ‘Keukenhof garden’ 🙁 However, after reading your post, it gave me hopes that I still have a chance to see beautiful flowers. I wonder if I go to “Bollenstreek, the Bulb Region” around the end of May, will there be any spring flowers left? I have tried looking up answers for my questions but just can’t seem to find any. I was just curious as to whether we had to pay to visit a tulip field anywhere in Holland? I’m visiting Holland 16 May through 19 May. Will the tulips still be in bloom? Will the Keukenhof be open to see the tulips?